Backed by huge industry experience and market understanding, we are involved in offering a wide array of OES Metal Analyzer for our valued patrons. 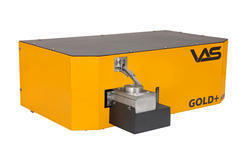 Designed and optimized to be the most suitable instrument for metals production, the Chemical Analyzer for Metals is a no-frills instrument, designed to do what it does best viz. quick, accurate and stable analysis with maintenance-free and hassle-free operation. The analysis software (Analysis Suite) provided with the instrument is designed to be operated by a layman with little or no experience in working with computers. The software is based on a 'control panel-like' interface which requires the operator to punch only a few 'buttons' to perform an analysis and print reports. We understand the importance of 'zero downtime' and the extent of damage caused due to instrument failure. We 'Quanta-Spec OES' has been launched only after extensive lab testing and exhaustive field trials so that our customers reap the benefits of high productivity. 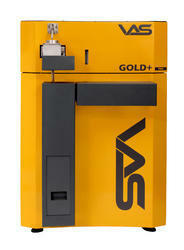 We are a unique entity in the industry, actively committed towards offering an optimum quality range of Metal Analyser. 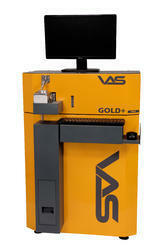 Looking for Metal Analyzer ?